Firefighters hose down flareups during the Thomas wildfire in Ventura, California, on December 5, 2017. And there are just a lot more humans in Southern California these days. In 1969 Ventura County’s populationwas 369,811. In 2016 it was 849,738—a faster gain than the state as a whole. In 1970 Los Angeles County had 7,032,000 people; in 2015 it was 9,827,000. “If you look historically at Southern California, the frequency of fire has risen along with population growth,” Keeley says. Though even that has a saturation point. 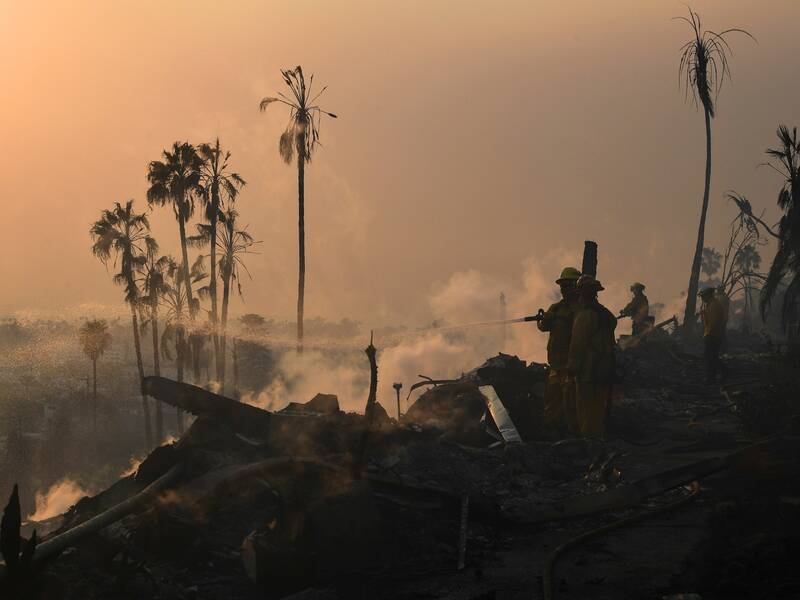 The number of fires—though not necessarily their severity—started declining in the 1980s, maybe because of better fire fighting, and maybe because with more people and more buildings and roads and concrete, there’s less to burn. So the canyons are perfect places for fires. They’re at the Wildland-Urban Interface, developed but not toodeveloped. Wall-to-wall hardscape leaves nothing to burn; no buildings at all means no people to provide an ignition source. But the hills of Ventura or Bel-Air? Firestarty.